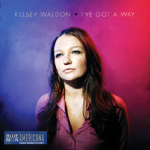 New music this morning from Bill Kirchen, Levi Parham, and Kelsey Waldon plus throwback Americana from Buffalo Springfield to open a set featuring Neil Young’s music. We’re gearing up in the shade for a Labor Day weekend here in Sonoma County…cool evenings with gradual warming…just the right weather for some Americana just ahead of the holiday. 20 Neil Young When I Hold You in My Arms Are You Passionate?